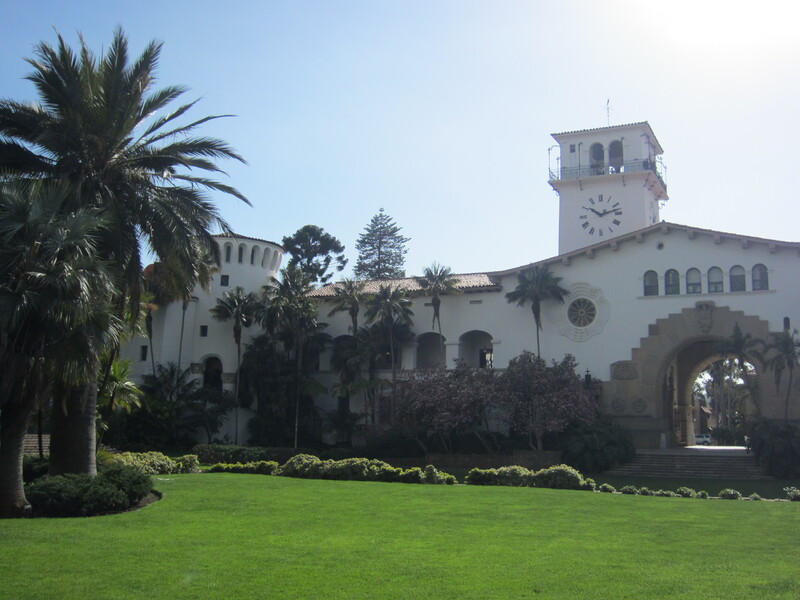 Dubbed as the “American Riviera,” Santa Barbara is one of the premier tourist destinations in California. While I’ve lived in California my whole life, I actually never spent any lengthy time exploring this city, instead just zipping by during drives between Los Angeles and the San Francisco Bay Area. Recently, Hubby and I took the time to see what all the fuss was about. We parked the car along the coast, walked around the pier that was full of families walking about and riding bikes and beach cruisers, grabbed a map from the friendly tourist office, and then headed into downtown. Downtown Santa Barbara was pleasant enough with lots of shops, cafes and restaurants. 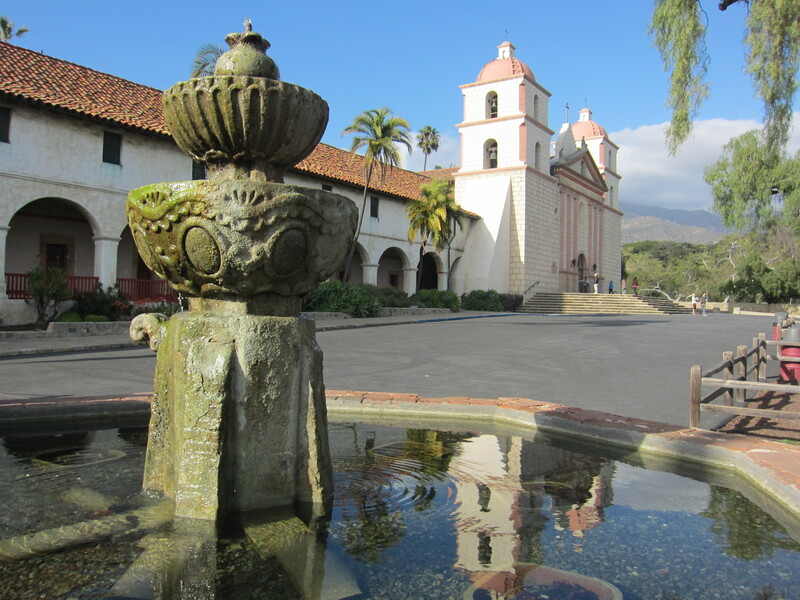 Santa Barbara sets itself apart from other popular American tourist cities by its Spanish architectural style and devotion to beauty. Adobe-style buildings with red tile roofs dominate. Carefully planted palm trees sway with the gentle ocean breeze. Even the bus stops, street signs and building street numbers (some), with their curving lettering and tiles, have a Spanish-Moroccan feel. What I had really come to Santa Barbara for was its courthouse. It’s considered by many to be one of the most beautiful in the country and it’s not hard to see why! Many couples have their weddings and take their wedding photos here. 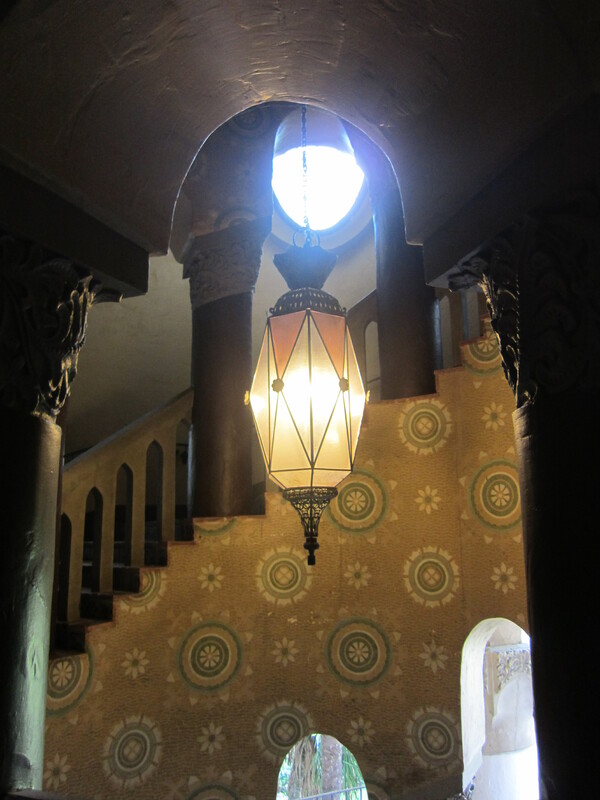 It may be a while till I get to Granada but until then at least I’ve been to the Spanish-Moroccan designed Santa Barbara County Courthouse! Tours are provided although you can just roam around by yourself. Going on the weekend is probably best to avoid the administrative duties and crowds (remember, it’s a working courthouse!). 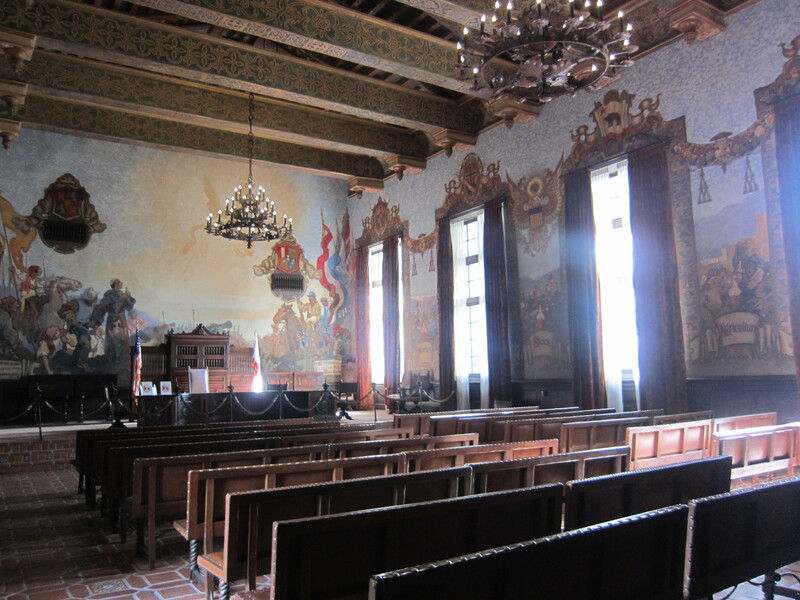 The most fascinating part of the courthouse for me was the Mural Room, which depicts the history of Santa Barbara, from the Native Americans to the construction of the city’s mission. The doors of the main entrance to the room, covered in leather on the insides, has on it a large painted ceremonial shield that represents the unification of Spain under Isabella (of Castile) and Ferdinand V (of Aragon). Fascinating for a royal history geek! Unfortunately, the 85-foot “El Mirador” clock tower, from which you can see great views of the city, was closed when we there. 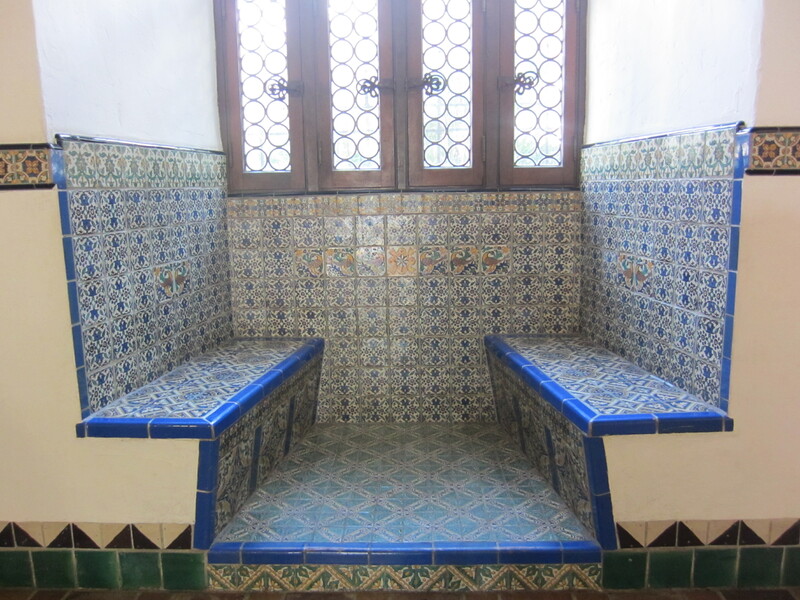 And Casa Covarrubias, built in 1817 for Don Domingo Carrillo. 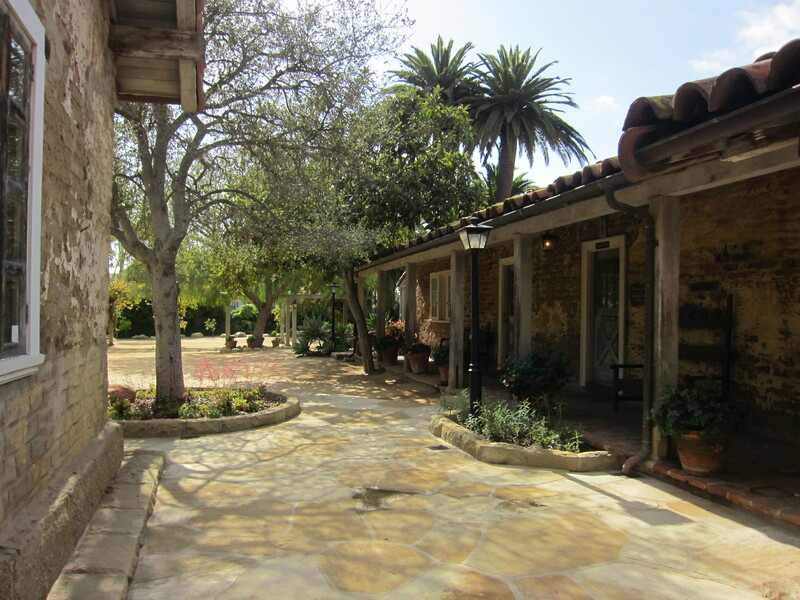 His daughter married Don Jose Maria Covarrubias in 1838 and their family lived in the property for more than 50 years. I just love imaging what life must have been like during those Native American / Spanish / American tumultuous times. 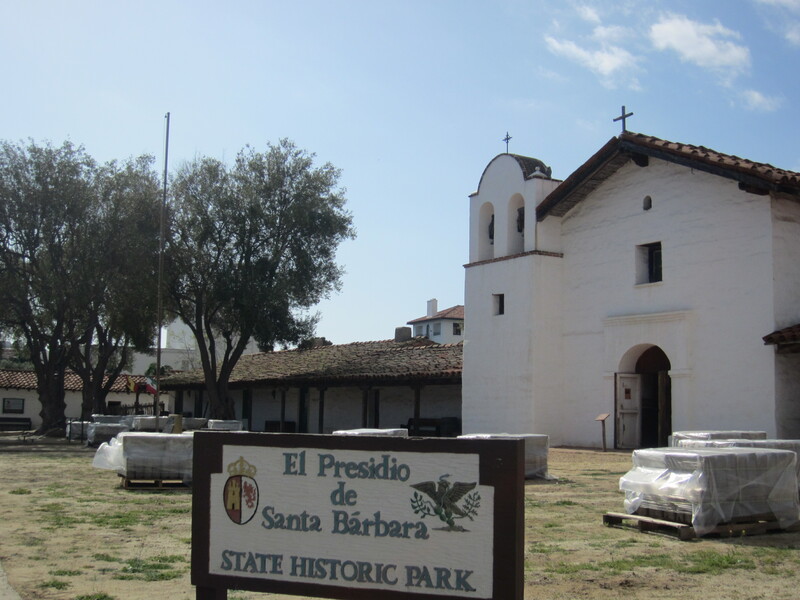 If you’re going to Santa Barbara, you can easily do a walking tour that takes you to all the famous sites. Highly recommended! 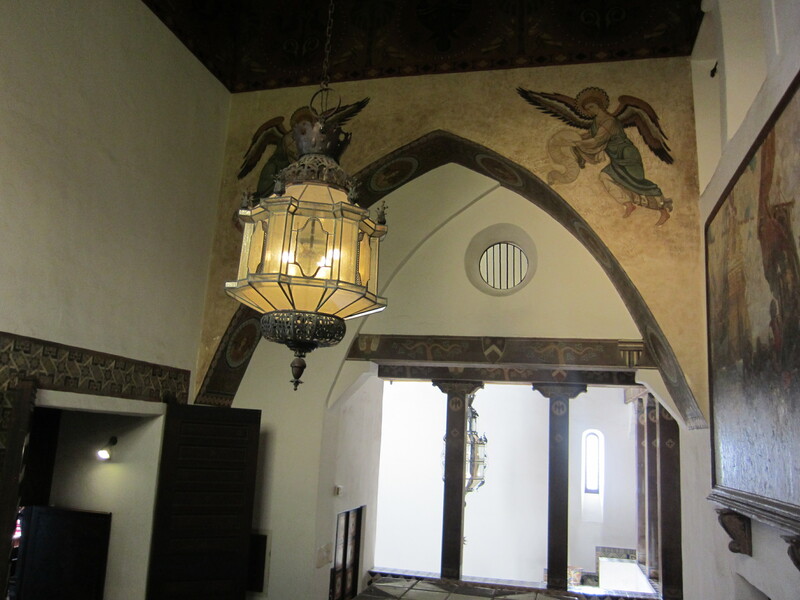 Lastly, we dropped by the Santa Barbara Mission, more so that Hubby can see it since I had already visited this place once several years ago on a school trip. It’s definitely a worthwhile place to go if you’re interested in California history and are into missions. The church is hauntingly beautiful and the gardens lovely. The mission’s cemetery grounds do creep me out a bit though.